One of the key activities developed over the years is GLADCA’s role as a training and educational establishment, focussing on new learners, especially those from hard-to-reach groups, such as women who experience cultural and other barriers to learning. Our other main activity over the year has been immigration advice which is offered at a very competitive rate in line with our not-for-profit ethos, and we hope to be able to resume our former level of service in welfare benefits advice, which we obliged to curtail owing to cessation of the funding stream. The services provided over the year have included English language courses, IT courses, immigration, welfare benefits, general advice, home skills, flower-arranging, exercise and yoga, healthcare and healthy living. We aim to provide services in different ways in order to meet individual need. We have continued to work in partnership with Stamford College (which we have done since 2003) to provide training and education and there is always a waiting list for classes, especially in literacy, numeracy and IT skills. We have also worked in conjunction with the JobCentre, providing workshops in CV writing, interview technique and other employment-related skills, to enable our students to have a better chance of entering the job market. General Help: Welfare, Community Care, Housing, Education, Employment & Training, Consumer & General, Benefits. Women Only: IT New Clait/Clait plus, English Classes, citizenship courses. Specialist: Immigration & Nationality, Asylum, Visa's, Nationality, Work Permits, Appeals, Indefinite leave to Remain. 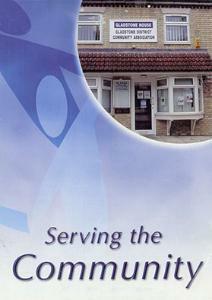 Other Services Provided: Mental Health Support, Crèche, Deaf Association. We are now taking enrolments for ESOL and IT Classes for September, book now to avoid disappointment as places are limited.